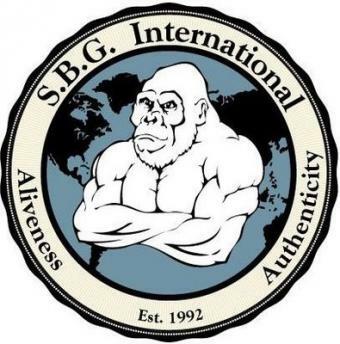 One of the things I am most proud of when it comes to the members of SBG Niagara, whether it is the adults or the kids, is the way in which they conduct themselves off the mats. They take the life lessons they learn on the mats through their training, and apply them to their everyday routines, allowing them to be a positive part of their community here in St.Catharines and the Niagara Region. I always tell them that who they are on the mats for an hour of the day means very little compared to who they are off the mats the other twenty three. Take the skills learned from training, such as the patience and confidence needed to escape positions in a jiu jitsu match, or the ability to stay calm under the pressure of a kickboxing match, and use them to face the pressures of their daily routines. "Rich has been my son’s coach for more than 6 years. I say “coach” but it means more than that. has been a friend, a mentor, a big brother a wise uncle and more than that an amazing role model. Rich has quite simply been a major influence in helping my son grow from a little boy into an amazing young man. Respectful, polite, reserved, passionate and dedicated to his fitness are all traits my son has received from his years with Rich. I can only describe Rich as a guy who tells it like it is, hold his students to a high standard and helps them to not only achieve those standards but to surpass them. There isn’t a price you can put on that type of character development." With our brand new "QUICKSTART" Trial offer, it has never been easier to join the most respected martial arts school in the Niagara Region and get started to a better YOU! Just fill out the form on the right side of this page and one of our staff will get back to you immediately to schedule YOUR trial offer.